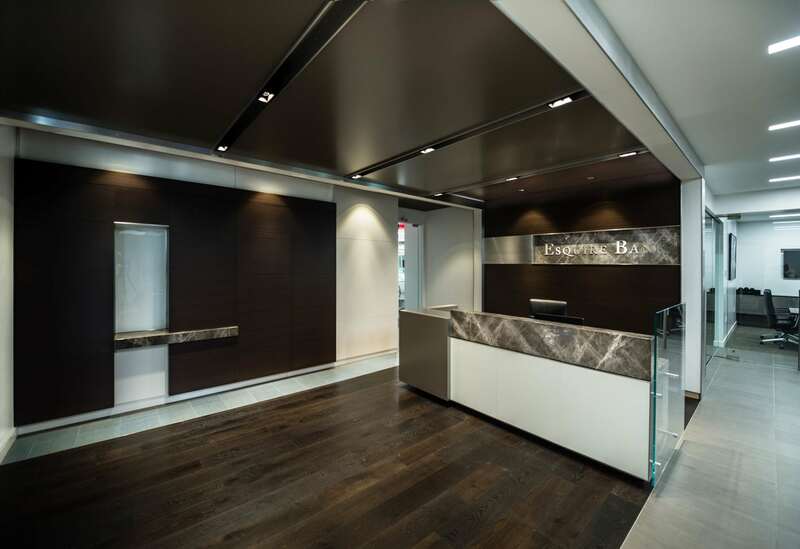 Esquire Bank is a private corporate banking facility that deals with many attorneys. 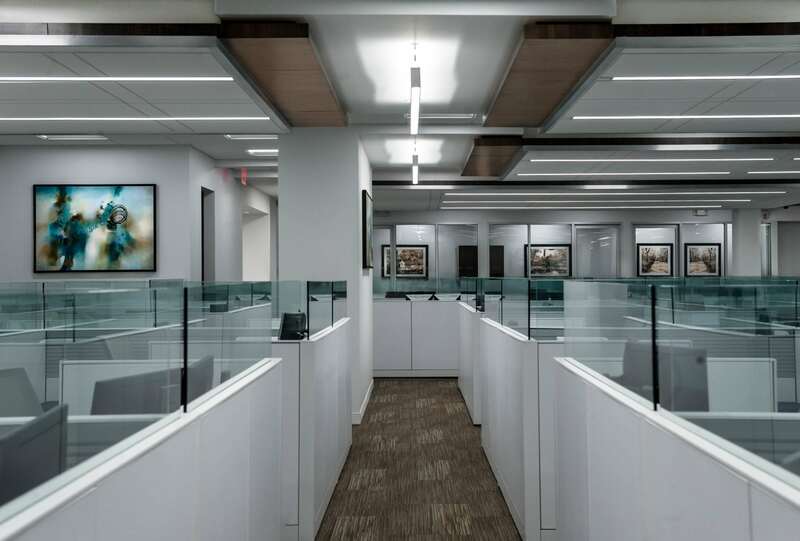 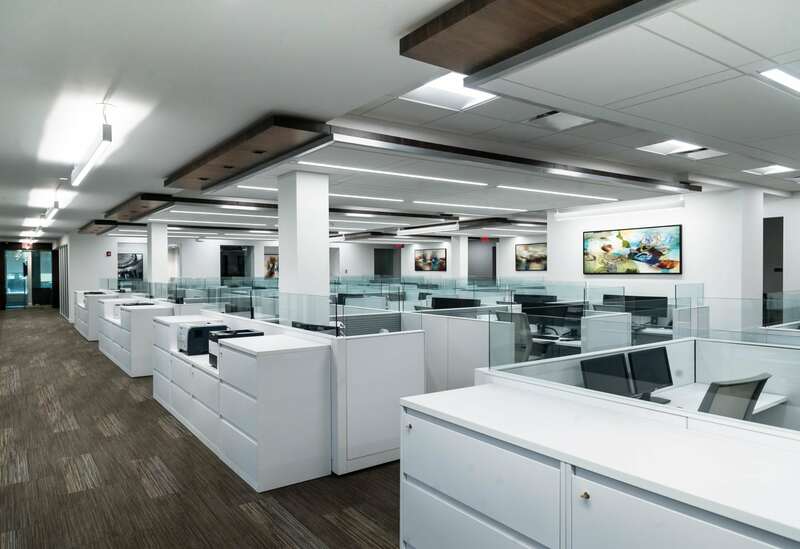 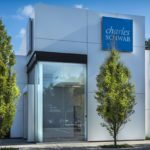 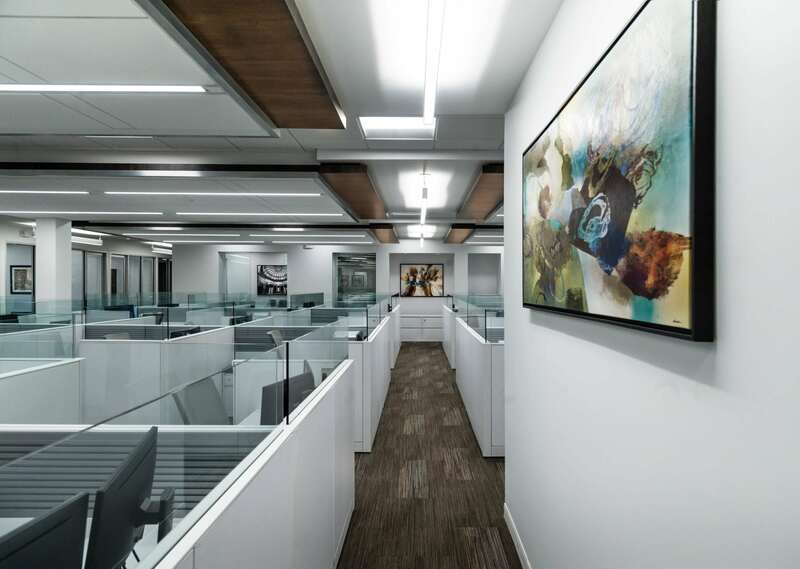 It is very important that their corporate headquarters, which is also their banking facility, project the professional image that they represent to their client base. 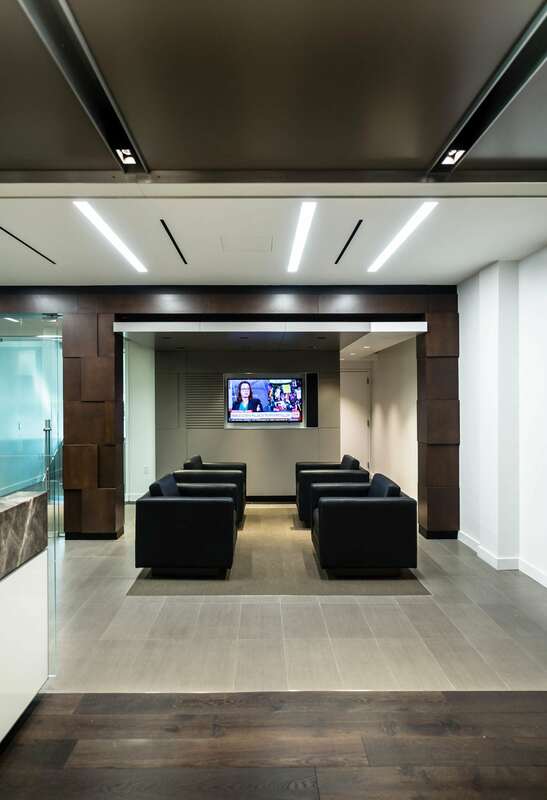 The space looks nothing like a bank, and functions extremely well. 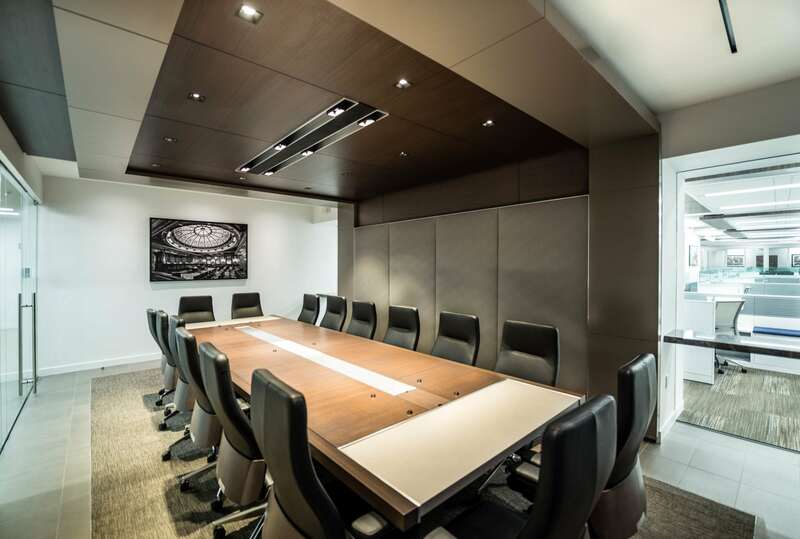 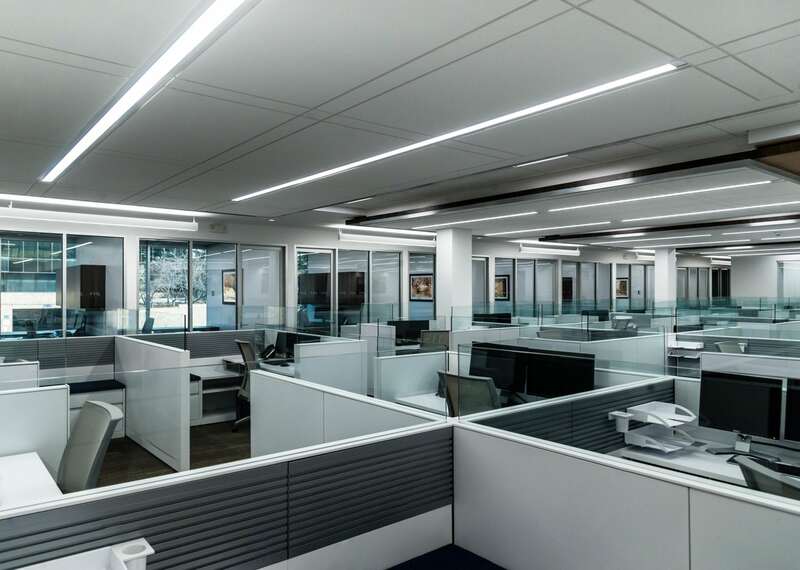 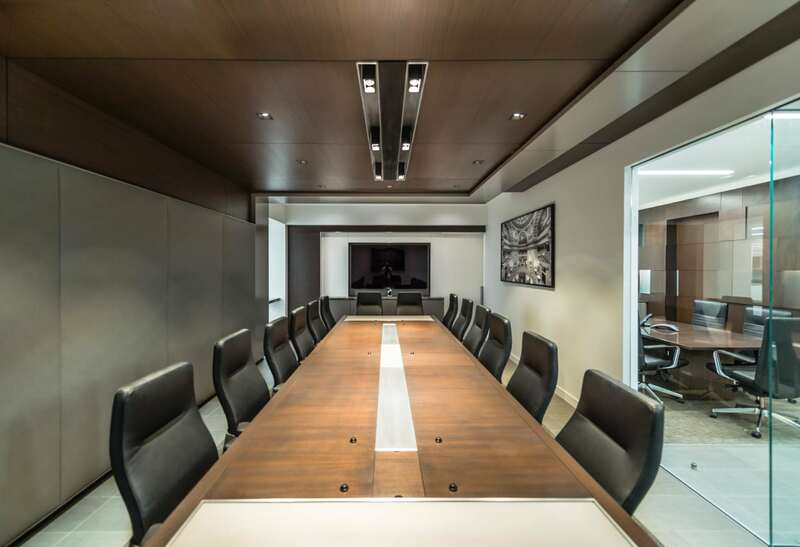 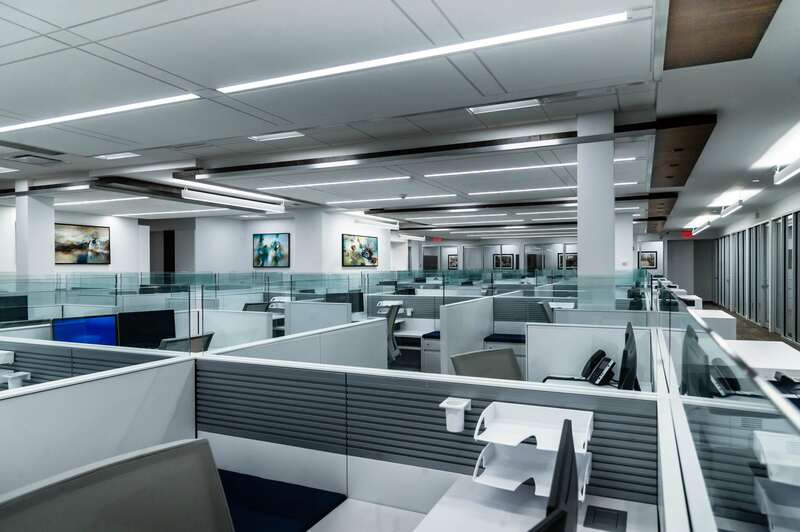 There is a clear divide between the executive area, open work spaces, private offices and conference rooms. 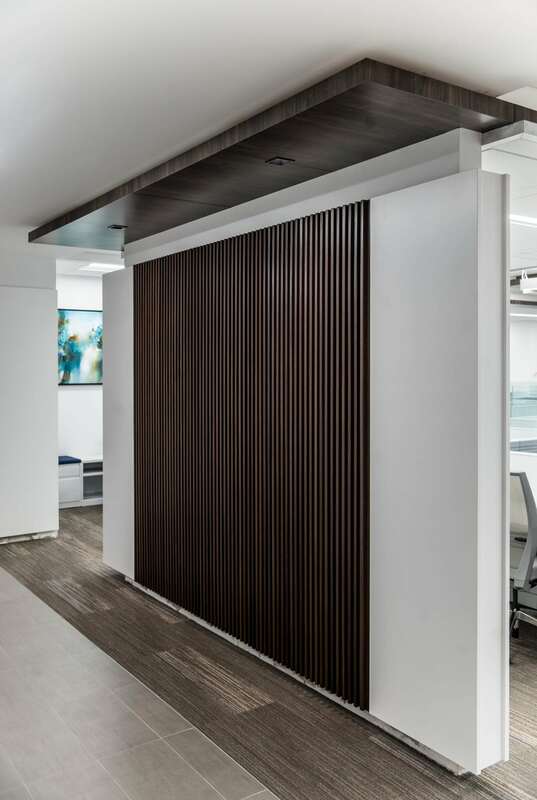 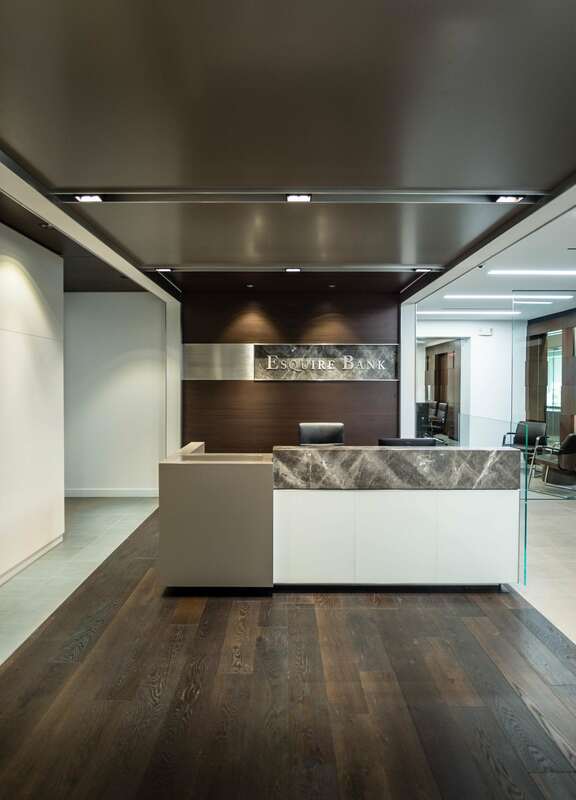 Dark Wood Carlisle flooring runs through the reception area as well as gray lacquer ceiling panels. 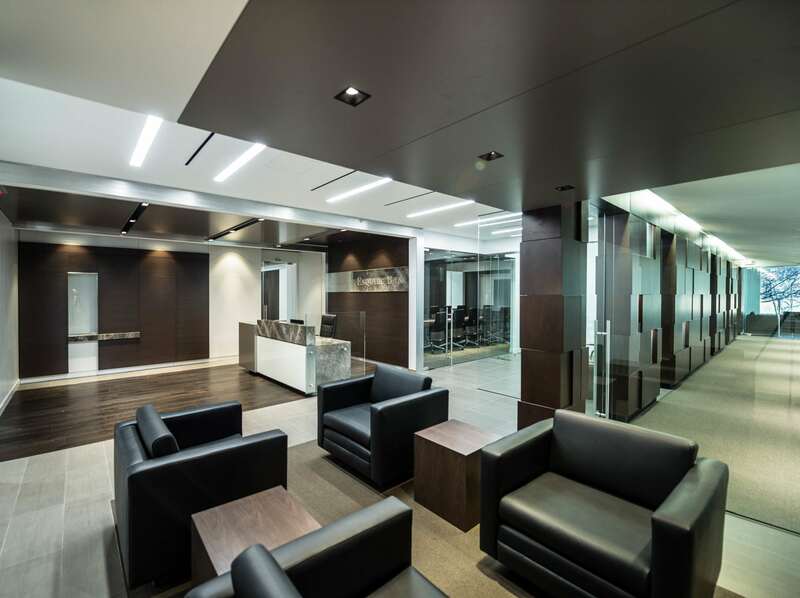 The client lounge is designed with cancos flooring along with Bently carpeting. 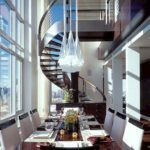 Modern furnishes were added to enhance the contemporary design. 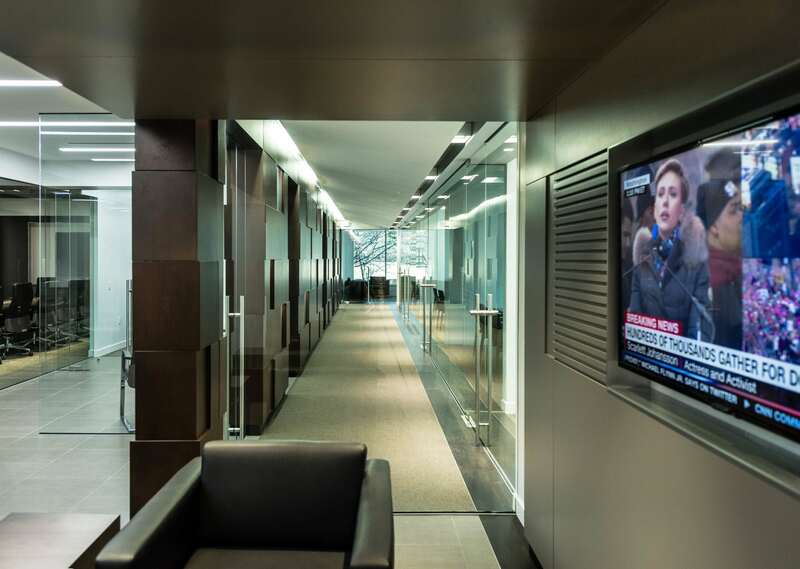 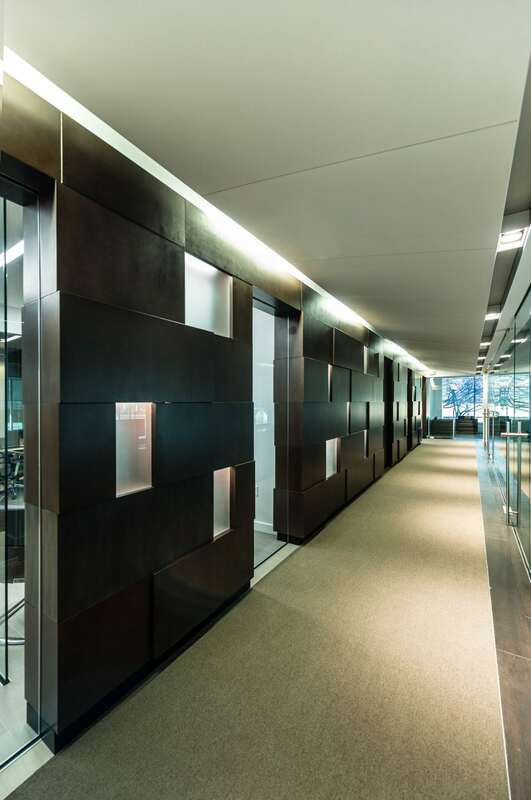 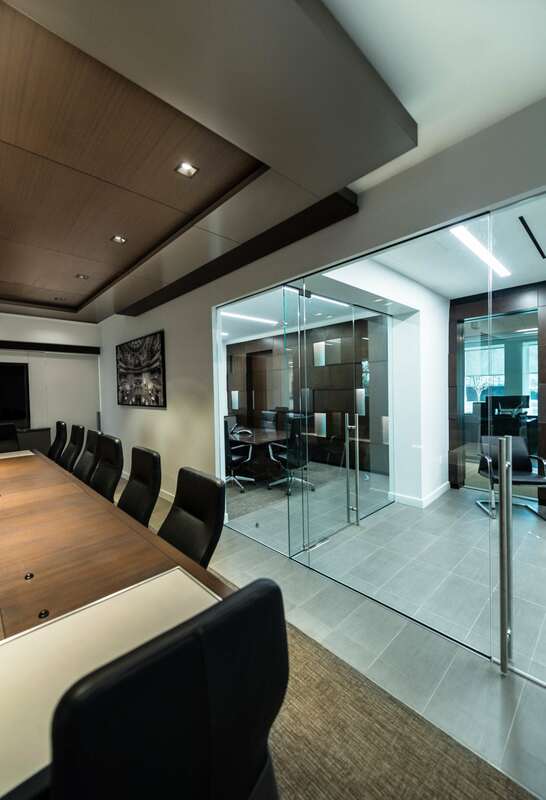 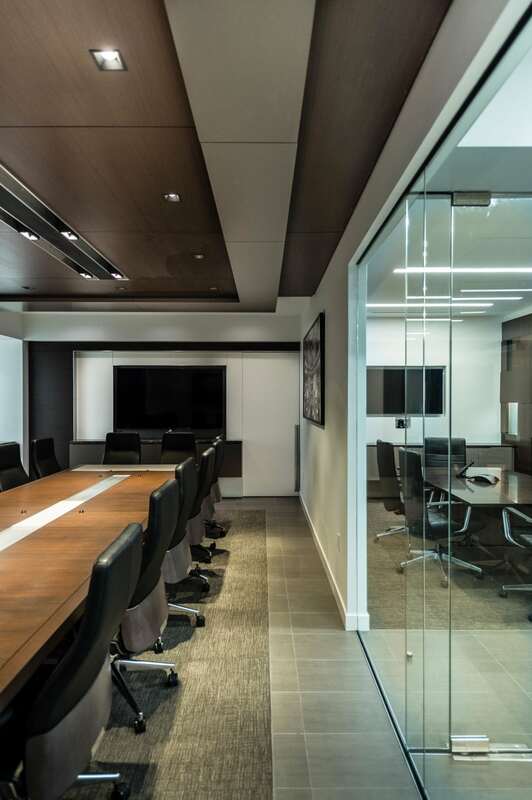 The clients are able to see through the executive corridor by a way of clear glass panels. 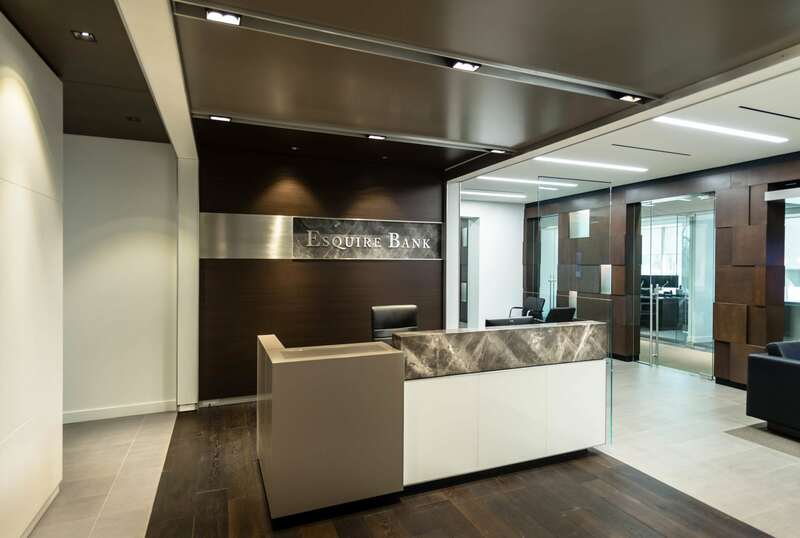 Esquire bank has recently moved in and is enjoying the space.